All LA COLINA BY SHEA HOMES homes currently listed for sale in Scottsdale as of 04/24/2019 are shown below. You can change the search criteria at any time by pressing the 'Change Search' button below. 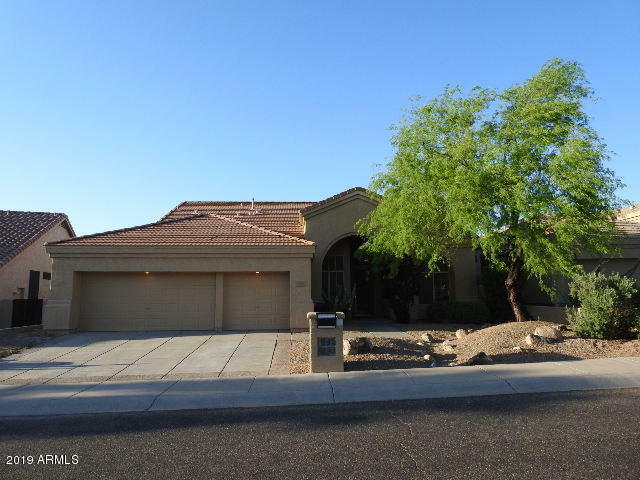 "This four bedroom Scottsdale Arizona homes for sale near great schools was going to be remodeled to sell and then for rent and he already professionally cleaned the property, touched up items, has a knock list of mandatory fixes if it is rented and put in new carpet with awesome padding. Seller was originally going to remodel the house and sell it but after learning about Basis Scottsdale and Desert Mountain High School he doesn't know if he wants to keep it or sell it since he might move his fa"
"BEAUTIFUL 3 BED, 2 BATH HOME IN PRIME SCOTTSDALE LOCATION! WITH MOUNTAIN VIEWS AND NORTH/SOUTH EXPOSURE. SPACIOUSLY LAID-OUT FLOOR PLAN. LARGE GREAT ROOM AREA WITH FIREPLACE, BUILT-IN SHELVING AND CABINETRY NICHE AND AREA FOR FORMAL DINING. KITCHEN HAS ALL STAINLESS-STEEL APPLIANCES BREAKFAST BAR, KITCHEN ISLAND, PANTRY, SEPARATE EATING AREA. MASTER BEDROOM WITH SEPARATE EXIT OUT TO THE PATIO. MASTER BATH WITH DUAL SINK VANITY, SEPARATE SOAKING TUB AND WALK-IN SEAMLESS SHOWER. LARGE BACK YARD, "